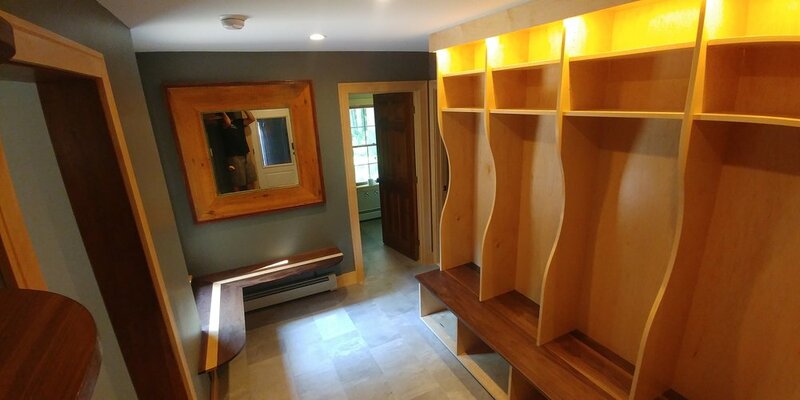 From a tight, dark hallway to a bright, functional mudroom. We installed new tile over a radiant electric floor mat, all custom clear maple trim, and two custom walnut benches—one of them with a gigantic cubby system. The space was designed by us and built in our shop and onsite.